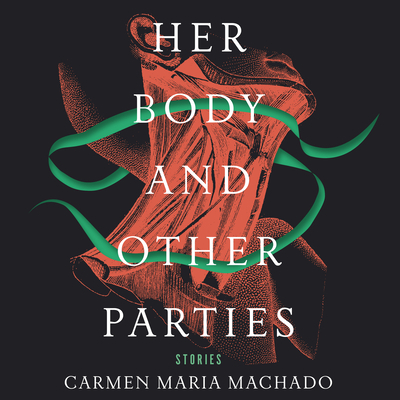 In Her Body and Other Parties, Carmen Maria Machado blithely demolishes the arbitrary borders between psychological realism and science fiction, comedy and horror, fantasy and fabulism. While her work has earned her comparisons to Karen Russell and Kelly Link, she has a voice that is all her own. In this electric and provocative debut, Machado bends genre to shape startling narratives that map the realities of women's lives and the violence visited upon their bodies. A wife refuses her husband's entreaties to remove the green ribbon from around her neck. A woman recounts her sexual encounters as a plague slowly consumes humanity. A salesclerk in a mall makes a horrifying discovery within the seams of the store's prom dresses. One woman's surgery-induced weight loss results in an unwanted houseguest. And in the bravura novella "Especially Heinous," Machado reimagines every episode of Law & Order: Special Victims Unit, a show we na�vely assumed had shown it all, generating a phantasmagoric police procedural full of doppelg�ngers, ghosts, and girls with bells for eyes.